Klick on the picture above or here to get FREE shipping on all of my products. Free shipping ends tomorrow (Sunday). 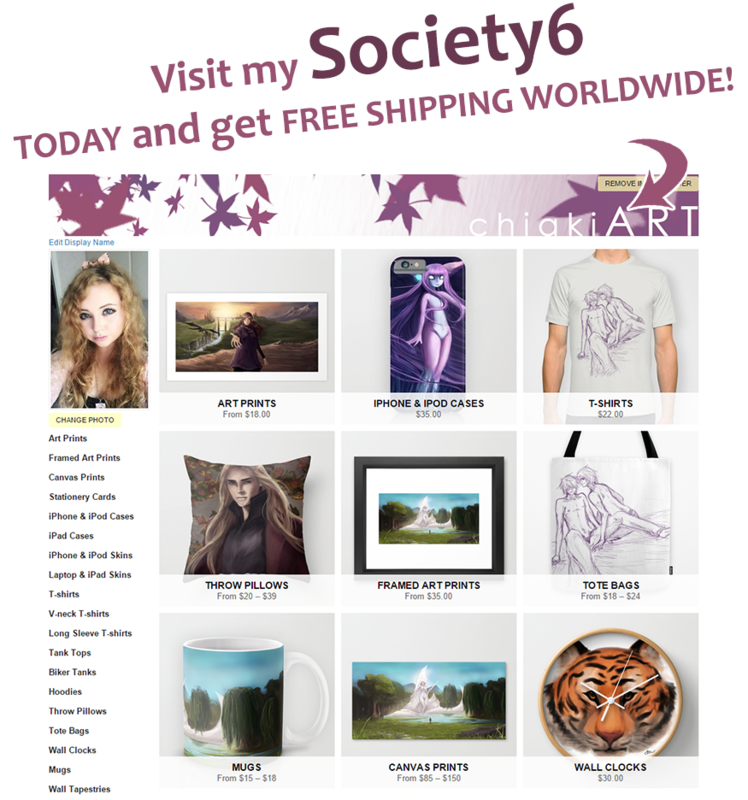 Society6 is a website where you can get my art, and other talented artists art printed on everything from canvases to mugs, iPhone cases, and wall clocks to tote bags, pillows and last but not least hoodies etc. The artist themselves do not get that much for each product sold but it is for sure better than nothing.^^ Go check it out you might find something you just can't resist haha!